Mitesh Parmar is a research fellow of Systems Engineering group under Joao Piteira at the department of Nanoelectronics Engineering. The research project is focused on the development of FET based nanostructured environmental gas sensors (CO2, CO, methane) to deploy on a portable platform including RF communications, signal processing, and some energy harvesting capability. Before joining at INL in February 2018, his postdoctoral experience includes his research tenures at South Korea, India and France in the fields of gas/chemical sensor developments and piezoelectric/triboelectric energy harvesters. He obtained the doctoral (PhD) degree in 2012 from Indian Institute of Science (IISc), Bangalore, India. 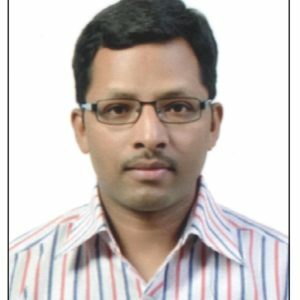 His doctoral research was centred at the development of p-type nanostructured metal oxide gas sensor under the guidance of Prof. K. Rajanna. His expertise lies in the design and development of sensors and various energy harvesters; thin films; nanomaterials; piezo-materials; FEM analysis (COVENTOREWARE®, COMSOL®, ANSYS®); testing setups and performance testing of the sensors.